Parissa studied Law at Newcastle University. Whilst there she pursued her interest in Human Rights by acting as Secretary of the University’s Amnesty International Society, and volunteering with community projects including Victim Support, and the local youth club. Parissa then completed her Masters in Global Crime, Justice and Security at the University of Edinburgh. Her dissertation research was titled “Human Rights vs. Security? : Why Human Rights Advocates Should Embrace the Security Discourse”, and focussed upon the political ideologies which prevent better compliance with the European Convention on Human Rights. Parissa also volunteered as a general advisor at her local Citizens Advice Bureau which highlighted to her the difficulties that vulnerable people have enforcing their rights. It was this experience that confirmed Parissa’s desire to work with the local community. Parissa worked as a project worker for Victim Support, moving across the North East to work on a range of projects, where she was co-located with a range of different agencies. The work involved offering both emotional support and practical advice to vulnerable victims of crime. The role resulted in Parissa experiencing victims of crime across a variety of locations: Accident and Emergency; multiple police stations; with social housing providers and with local social care teams. Parissa gained an insight into how social welfare law fits into the larger framework of supporting vulnerable individuals, and the importance of access to justice. Parissa completed the BPTC part-time, and was lucky enough to travel with her Inn of Court to both the European Court of Human Rights and International Criminal Court. She is passionate about how these institutions effect real change for the lives of local people. During her BPTC Parissa also qualified as a mediator and is working towards becoming accredited with the Civil Mediation Council. 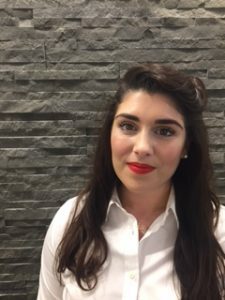 Parissa currently works for the Bar Pro Bono Unit as year one of her Fellowship and recently began research for her LLM which will focus on the use of exceptional case funding in immigration and human rights cases. She is currently developing ideas for her access to justice project, and hopes to use her practical knowledge of local practices to ensure her project impacts those most in need.